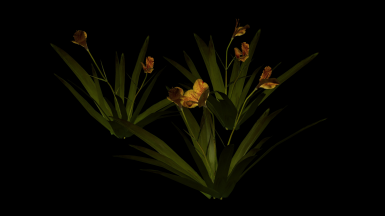 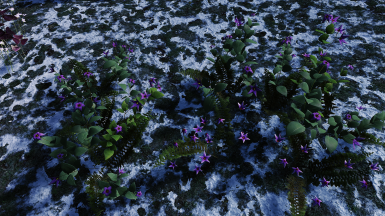 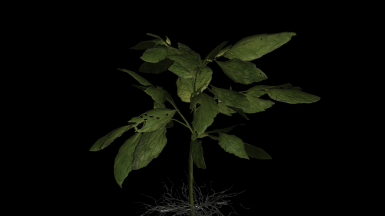 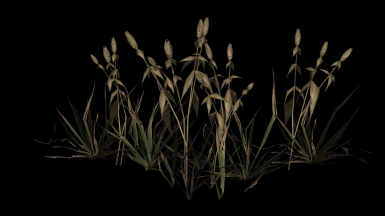 The vast majority of the plants models are now weight painted by hand and their are animation are tuned accordingly. 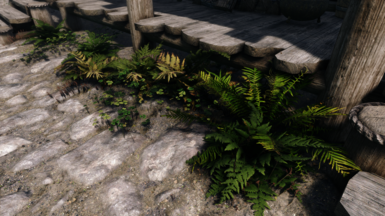 Leaves will stay attached to the stem, ferns will stay attached to the ground etc. 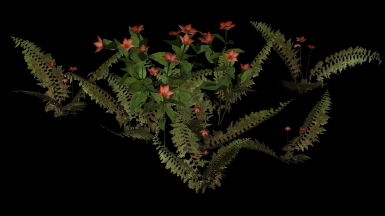 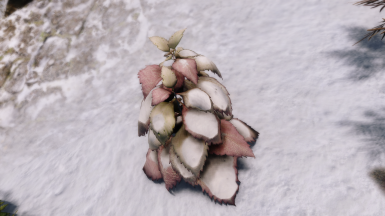 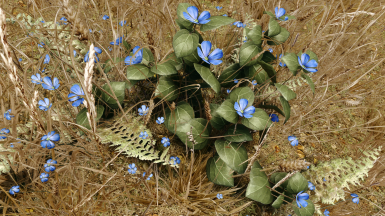 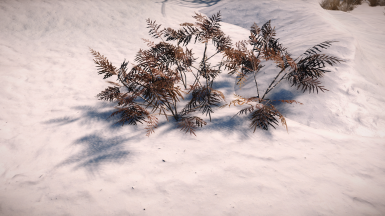 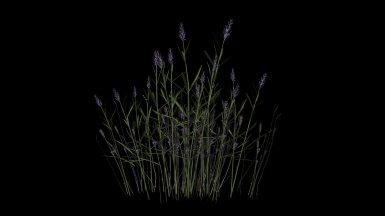 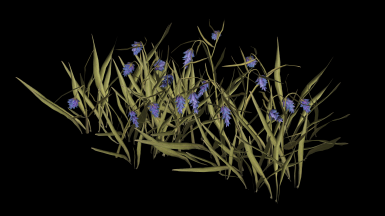 Some plants are not weigt painted (yet) due to restrictions depending on their meshing. 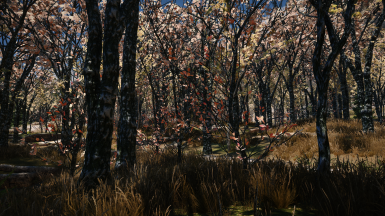 Trees not weight painted yet. 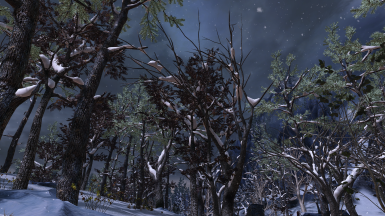 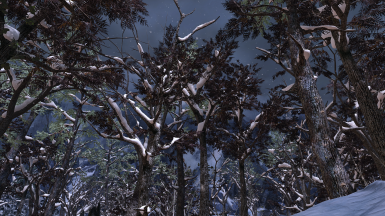 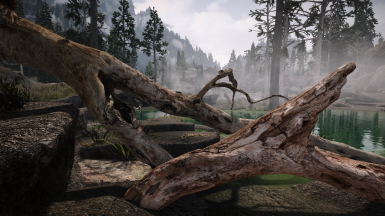 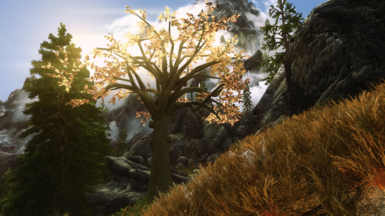 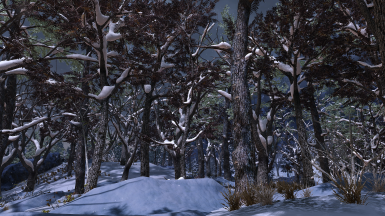 Prefabricate tree LOD now include the Solstheim world. 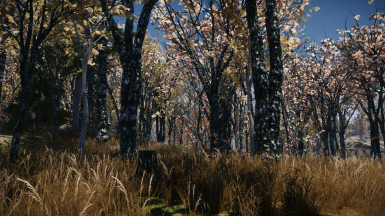 The billboards used for the trees that have not been replaced yet by this mod provided by the Indistinguishable Billboards Mod. 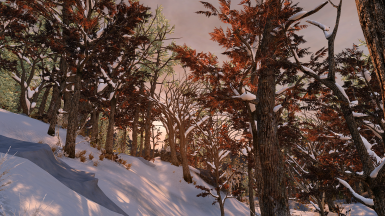 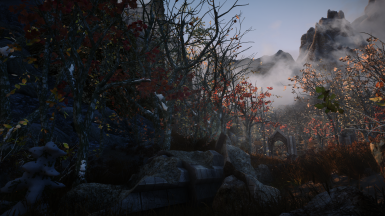 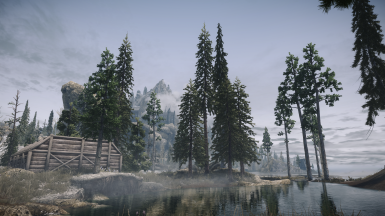 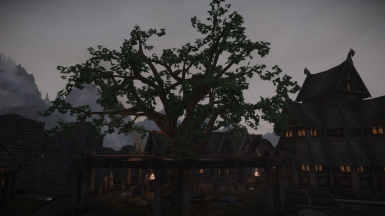 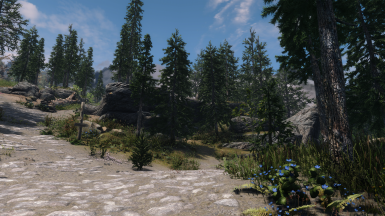 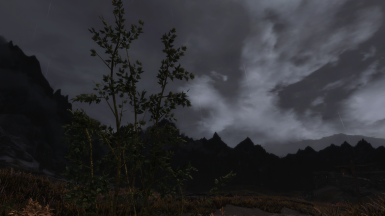 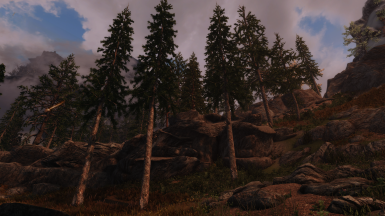 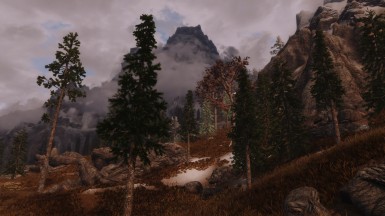 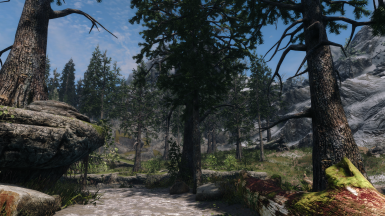 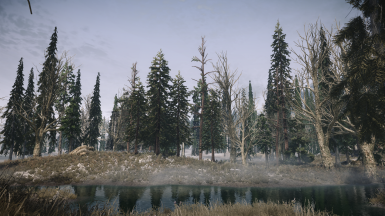 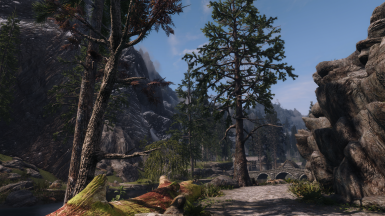 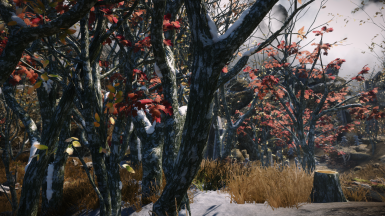 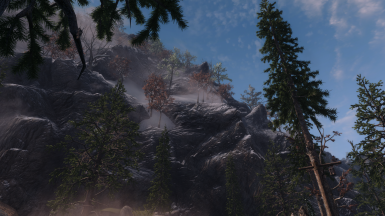 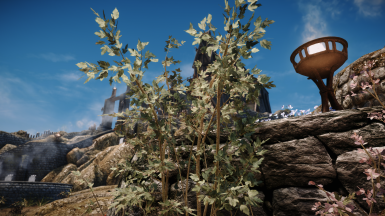 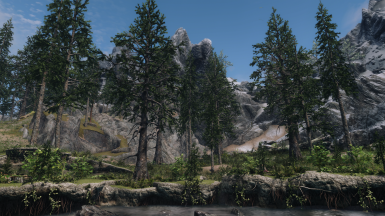 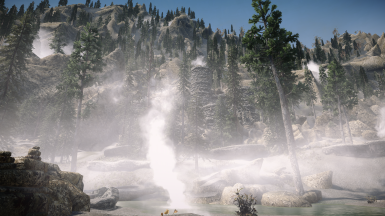 Solitude, Windhelm and Whiterun (partially) have been re-landscaped and tones of buried, misplaced, misscaled, plants and trees records have been corrected. 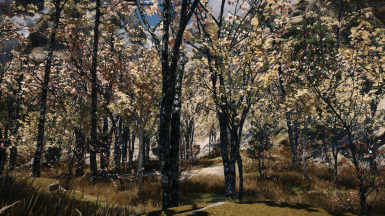 Hundreds corrections in exterior lands, various cells. 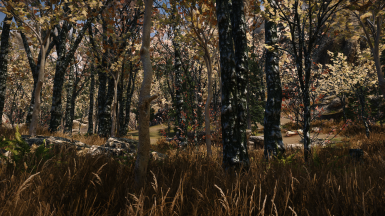 The most realistic forests simulation in gaming at this moment. 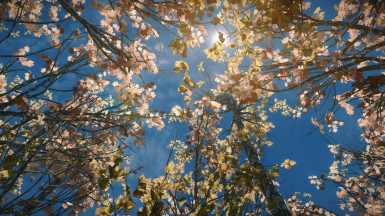 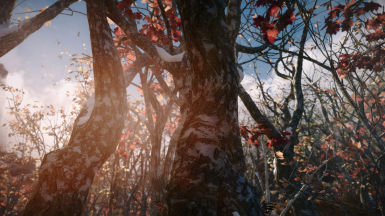 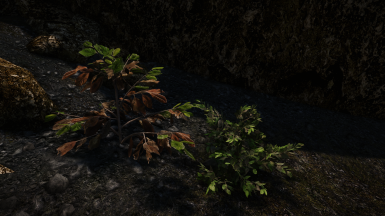 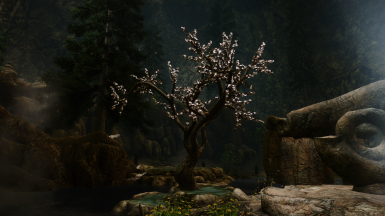 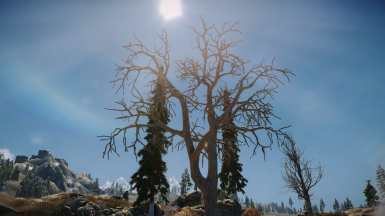 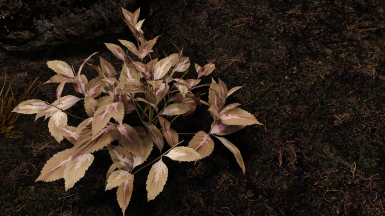 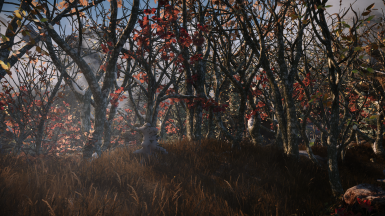 More than 220 High Quality 3D replacer models for the Skyrim trees and plants. 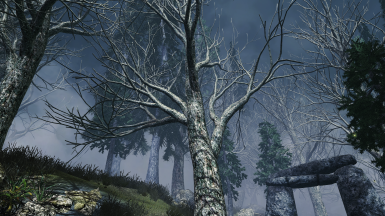 High Quality sharp lightweight texturing. 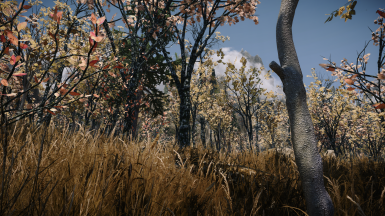 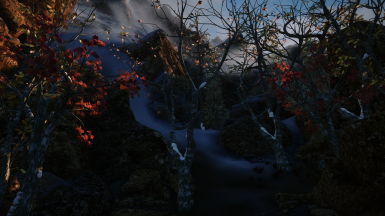 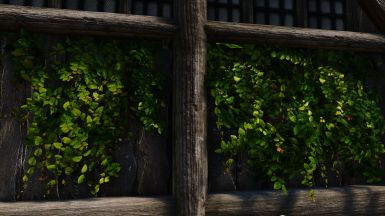 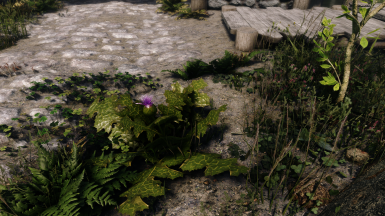 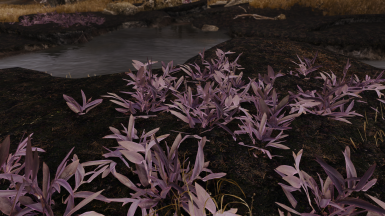 Weight painted foliage (trees with leaves and plants) for extremely realistic wind animations. 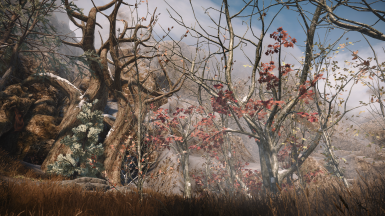 ESP plugin fixing awkward trees placement around the map. 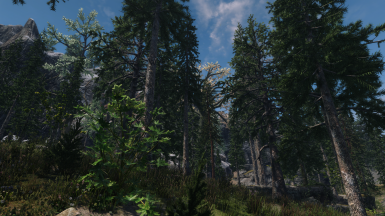 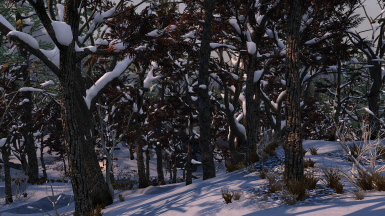 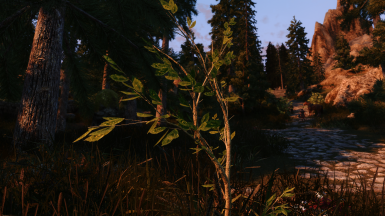 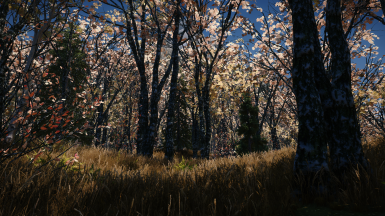 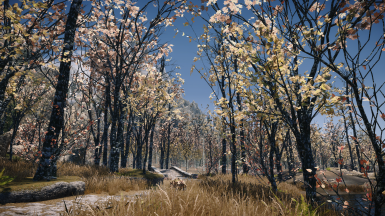 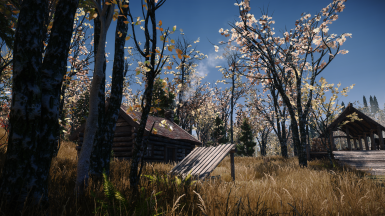 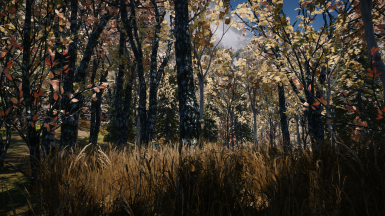 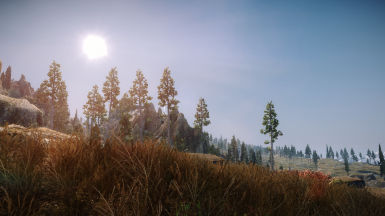 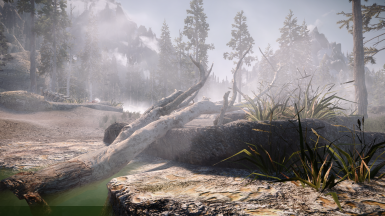 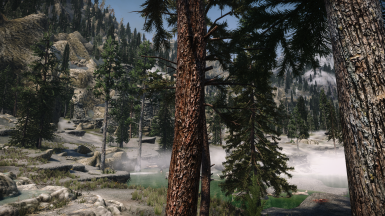 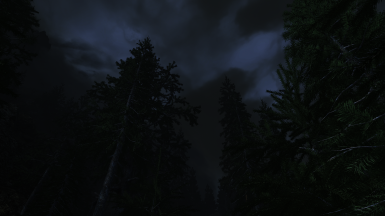 This mod includes some high poly models and could come with a penalty of 4-6 FPS in dense forest areas. 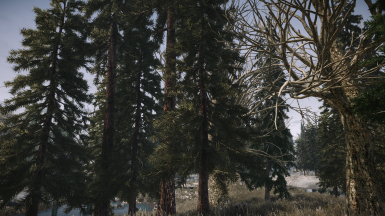 This mod is a Nexus exclusive, its mend to be free and is not allowed to be distributed anywhere without permission. 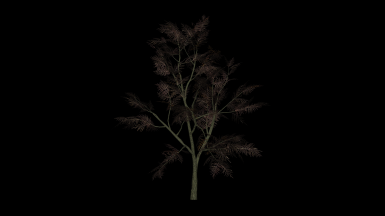 The 3D scanned model used in version 2.52 as tundradriftwood02 is created by Quixel Megascans. 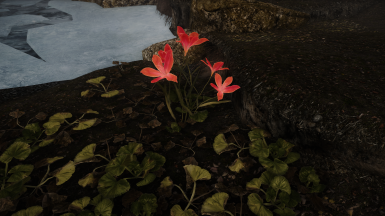 The floraleek01 original model that is improved by this mod is copyrighted to the Bethesda Studios. 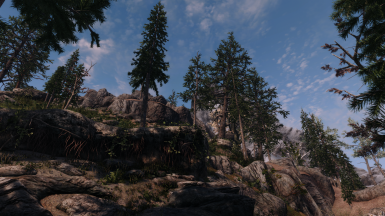 The rest of the models are created by the author exclusively for Skyrim SE and the Nexus repository.